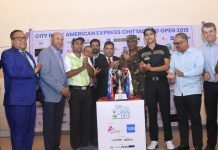 The Indian duo of Yashas Chandra M S and Rashid Khan returned flawless rounds of seven-under-65 to take the joint first round lead at the third edition of the City Bank American Express Chittagong Open, the third event of the 2019 TATA Steel PGTI season. 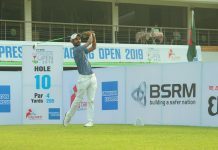 Yashas and Rashid, both playing at the Bhatiary Golf & Country Club for the first time, enjoyed a slender one-shot lead ahead of compatriots Sanjeev Kumar and Mohammad Sanju, at the BDT 47.40 lakh (INR 40 lakh) event. 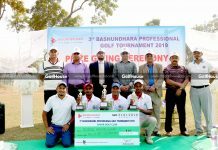 Md Sajib Ali was the highest-placed Bangladesh golfer in tied fifth as a result of his 67. 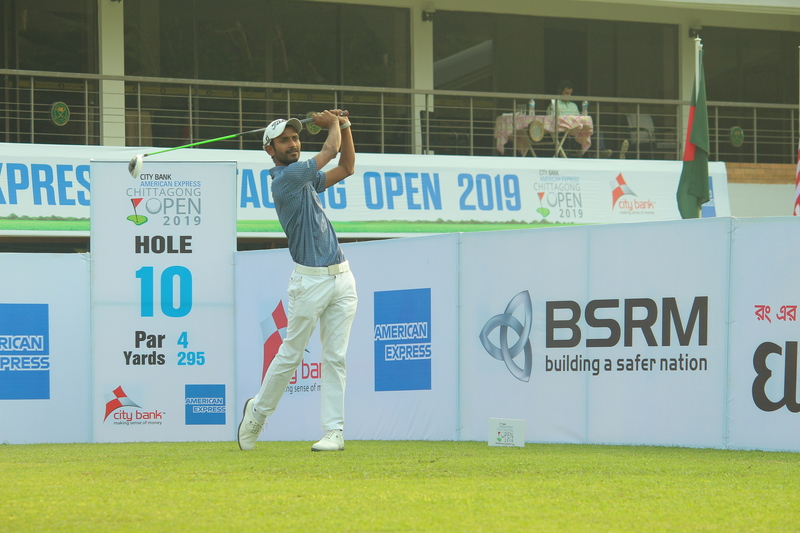 Yashas Chandra, playing an event in Bangladesh for the first time, didn’t give the impression of playing in unfamiliar conditions as he struck the ball cleanly and made good all his chances on the greens. Yashas, the 2018 PGTI Emerging Player of the Year, converted from within five feet on the 11th and 15th to make the turn at two-under. The 24-year-old from Mysuru then made further inroads on the front-nine with some excellent driving and approach shots to pick up birdies on the fourth, sixth and ninth and an eagle on the eighth. While Chandra’s 12-feet eagle putt lipped out on the fourth, he managed to pocket an eagle from 15 feet on the eighth. Yashas said, “I really enjoyed my first competitive round in Bangladesh. My low score can be attributed to my outstanding tee shots and approach shots. I made 16 greens in regulation which in turn set up the round for me. My putting was also on the mark. I was never in trouble at any stage and never looked like dropping a shot as I kept landing it close. Two-time Asian Tour winner Rashid Khan, who also went error-free on day one, produced some quality chip-putts for four of his seven birdies. His longest conversion of the day, a 15-footer, came on the 12th. Rashid made birdies on all the four par-5 holes. Bangladesh’s Md Sajib Ali too came up with a bogey-free effort in round one. His 67 placed him tied fifth along with the Indian quartet of Mukesh Kumar, Honey Baisoya, Kshitij Naveed Kaul and Veer Ahlawat. 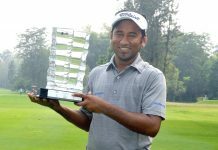 Defending champion N Thangaraja of Sri Lanka and Md Zamal Hossain Mollah, one of Bangladesh’s top golfers, were both in tied 19th with rounds of two-under-70.